This post is for everyone who has a dog or a puppy. I am a student in London and I have a Pomeranian who is turning 4 next month, the point is that during holiday seasons, I travel back home and unfortunately have to leave my Bijou, (my Pomeranian boy) with a pet sitter until I come back. So, long story short, when I got him back last week, my poor Bijou started vomiting, a bit during the first day and then the whole night. If you don’t know me, I usually panic very fast, especially when it comes to Bijou, because I feel I don’t know what to do to make him feel better. As most Pomeranians he has a sensible stomach so he can’t handle a sudden change in his food. Knowing this the next day I messaged the sitter, I left him with, asking if he changed his food. And… I was right. He indeed did so for the last few days while Bijou was over. Not knowing what to do, I did my research and I have found that these 2 products that are so inexpensive helped his stomach rest and now Bijou is Healthy and very energetic! So what are these products? 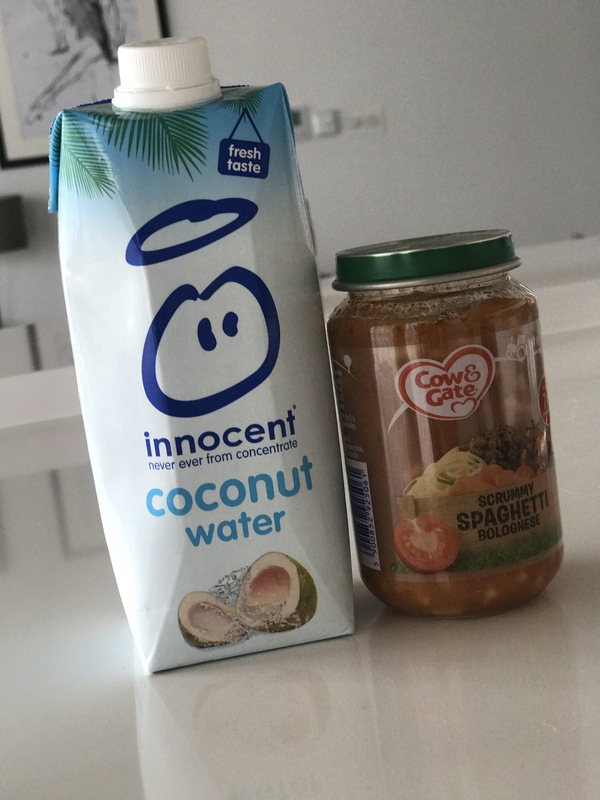 You’ll be amazed, but 1st product is Baby food, this helps his stomach rest, as after vomiting it’s irritated and inflamed, so this food is great for his stomach, I gave him this baby food for 1 whole day and the 2nd product is Coconut water, this helps with balancing the electrolytes in his body. I gave him about 3 to 5 big spoons of coconut water besides having his regular water. I did this for a whole day and it really worked Miracles! Please bare in mind that I am not a specialist and this is only as a reference to my own experience! If your dog vomits more than a day or vomits with blood please don’t wait and take him to the vet immediately! However, if your dogs’ stomach is as sensitive as mine, then this 2 products does the trick! I hope you found this helpful! Also, if you have any home remedies for your dog, puppy, please let me know as I would love to know more home remedies for my little fluff ball! Next Post Dealing with Separation Anxiety – Tips that Work to calm your Dog! Good idea the coconut juice. I find rice and rice water work really well when my’ dog has diarrhea.when she was a puppy she ate half a pack of uncooked noodles and had diarrhea for 3 days. Also there are recipes for dog breath cookie that I tried with mint and parsley and she loved them. Thats a great idea! I will try some breath cookies for him too:) Thank you for sharing.